Identity theft is a charge that has seen an increase in the amount of times it is charged recently in Colorado. It involves any act that can be seen as attempting to represent yourself as someone other than who you are in order to gain a benefit. As you can probably imagine, this can vary greatly from case to case. Identity theft is a felony crime that involves allegations of dishonesty. As a result, it can lead to difficulty with employment and anything else that involves someone trusting you. Having an attorney in that situation is very important. Wolf Law, a defense law firm, has handled numerous identity theft cases and is well aware of the far-reaching impacts being charged with this crime can have on your life going forward. He will treat your case very seriously and give your case the personal attention it will require. Need help navigating Identity Theft Laws? Speak with an experienced Denver identity theft attorney. 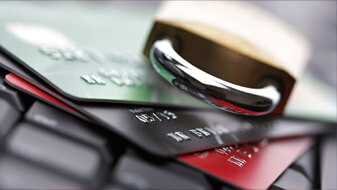 Contact Wolf Law today for a FREE CONSULTATION about identity theft.